Winter may be the BEST time of year to visit the Minnesota Zoo. The Tropics Trail offers a warm, lush getaway for and it’s a hotspot for smart fun. While the playful lemurs, inquisitive gibbons and agile tree kangaroos are just a few of the animals waiting to be discovered at each turn, the Tropics Trail also showcases several of the world’s biodiversity “hotspots”—areas especially rich in species found nowhere else that are also at extreme risk of destruction. Whether you like a speedy jaunt or a meandering stroll, the Minnesota Zoo is a great place to get moving all year round, especially during mornings when many animals are at their most active. Kids can let off steam running through the largest indoor, interconnected zoo exhibit areas in the country as their grownups up their daily steps. The cold hardy who explore the Zoo’s three and a half miles of outdoor trails are often rewarded with the most striking sightings of Amur tigers, woodland caribou and moose, which are well-adapted to harsh winter conditions. 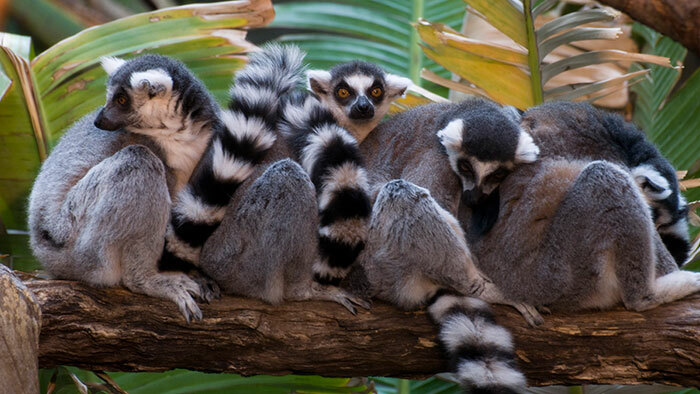 Escape the cold and warm up with the wildlife at the Minnesota Zoo’s Tropical Beach Party! Bring your kids and their beach toys and play in Minnesota’s biggest indoor sandboxes. Explore an indoor rainforest teeming with wildlife. Come hit the beach for a few hours or make it a full day of tropical fun. Members are invited to bring friends for half price Mondays-Thursdays. From penguin and shark feedings and tropical reef dive shows to Close Encounters, the Wings Financial World of Birds Show, each day at the Minnesota Zoo offers endless variety to beat the winter doldrums. Beyond being where amazing lives every day, the Minnesota Zoo is on a mission to connect people, animals, and the natural world to save wildlife. By visiting the Zoo, you are contributing to our efforts to save animals big and small. From endangered native butterflies to the exotic black rhino, animals with local and global roots benefit from a percentage of the cost of your admission. Learn more about our conservation efforts at the Zoo, in Minnesota, and around the world.